• Personalized email support from your facilitator for the 20 weeks during your regular classes. ​• Letter of recommendation to the ICF. Best suited for individuals wanting coach training with the ICF certification mentoring/testing requirements The added benefit of more personalized access to your facilitator outside the classroom. You also benefit from personal coaching sessions for your personal growth. • Up to 8 volunteer coaching clients for practice will be provided for additional training and building hours for ICF certification. • 30 minute after class debrief with facilitator. Ask any questions get greater clarity from your facilitator in a more personal setting. • Personalized telephone support from your facilitator for the 20 weeks during your regular class. • Personalized email support from your facilitator for the 20 weeks during your regular class. • Personalized text support from your facilitator for the 20 weeks during your regular class. • Letter of recommendation to the ICF. Your instructor/s will introduce you to the Self-Actualized Model. The technology and your classroom structure will be reviewed in detail. You and your classmates from different parts of the world will be introduced to each other. This time will be used to create a trusting learning community for optimum learning. 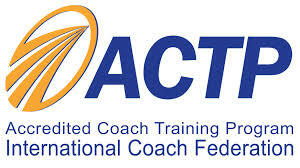 You will be establishing the insights around Executive Coach Training.